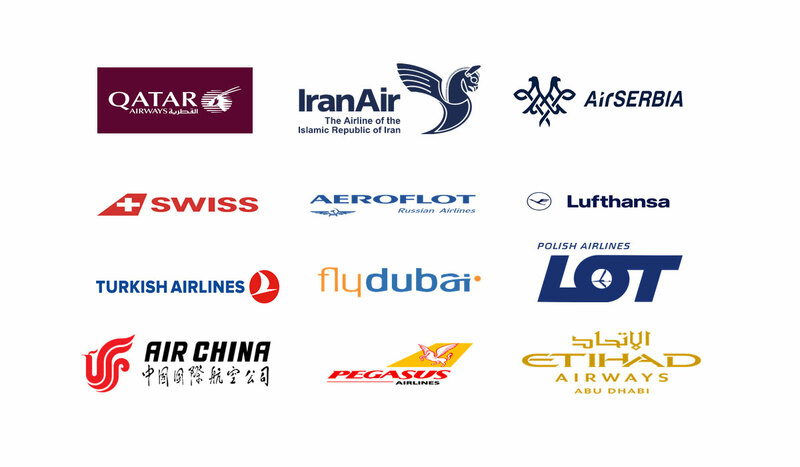 K&M INTERNATINAL are General sales agent air company IRAN AIR for Serbai and authorized agent air companies QATAR AIRWAYS,LUFTHANSA,AIR SERBIA,SWISS,AEROFLOT,TURKISH AIRLINES,FLY DUBAI,ETIHAD,AIR CHINA,PEGASUS. With our service,you can send your shipment to more 100 destination in world with good rates. Your request you can send to our official e-mail address office@kmgroup.rs.